The SoundRoutes Band is coming to a city near you! 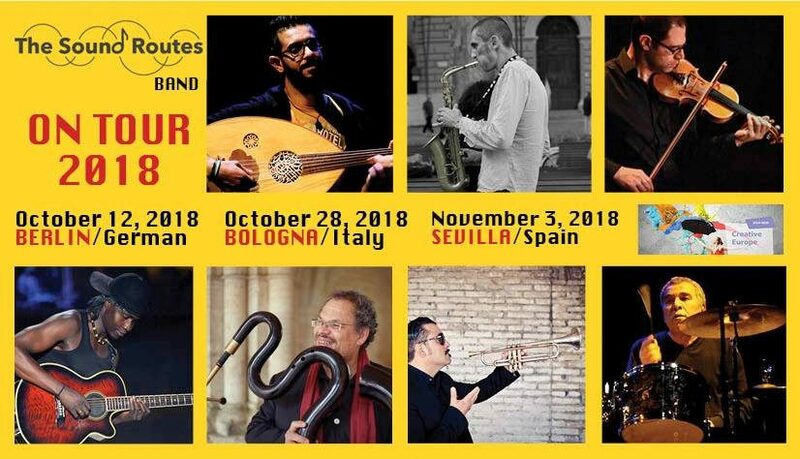 Italian superstar Roy Paci and the no less well-known French Jazz wind instrumentalist Michel Godard will support an ensemble of international musicians who escaped war and other adversities, on the European tour of the SOUND ROUTES PROJECT. The tour starts on 12 October 2018 in the WERKSTATT DER KULTUREN. Following the Berlin concert, the band will then play at the renowned Bologna Jazz Festival and the famous Teatro Central in Sevilla. The members of the SOUND ROUTES BAND were selected during casting processes in the various partner cities of the EU project. Under the direction of the Italian saxophonist Guglielmo Pagnozzi, the musicians spent time as musicans in residence at the WERKSTATT DER KULTUREN. After intensive rehearsals they played their first concert there. Following the motto ‘NOTES TO GET CLOSER’, nine musicians from Syria, Senegal, Italy and France will perform at the opening concert on 12th October 2018. The Italian trumpeter, singer, composer and arranger Roy Paci is best known for his band Aretuska and their successful album “Tuttaposto”. Paci’s musical range covers Punk, Rocksteady and Ska to Free Jazz, Calypso, Swing and traditional Sicilian folk music and also reflects his political perspective: Paci got involved with the action “Noi non stiamo con Salvini! (We do not agree with Salvini) as one of the first to publicly oppose Italy’s current migration policy. 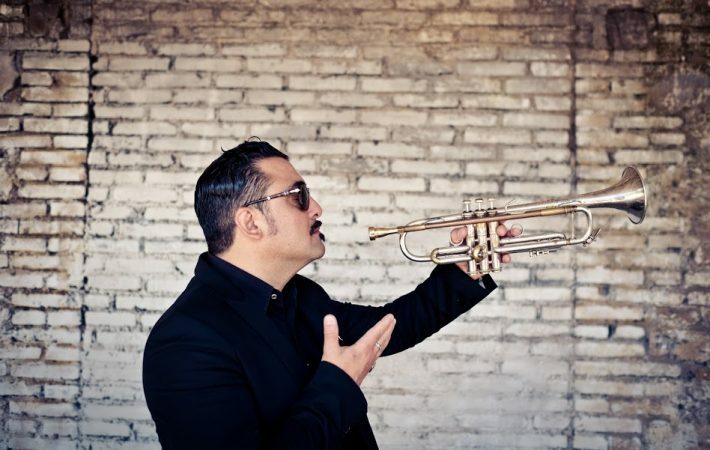 Michel Godard, who studied classical trumpet, is a jazz player with a penchant for Renaissance instruments. He is particularly fond of the serpent, a snake-shaped wind instrument, the ancestor of the tuba. Godard uses his polyphonic playing techniques (multiphonics) in both contemporary and early music. He formed a quartet with the American tuba virtuoso Dave Bargeron, plays among others in the group of the Lebanese Ud player Rabih Abou-Khalil, with the “Capella de la Torre” and his own ensemble “Le miroir du temps”. The SOUNDROUTES BAND is a European band. Its members are based in Berlin, Bologna, Brussels, Gent, Rom and Sevilla. The concert is part of the EU-financed project “SoundRoutes. Notes to get closer”, which aims at networking musicians of very different international backgrounds who are based in Europe. WERKSTATT DER KULTUREN in Berlin and partner organisations in Belgium, Italy and Spain are cooperating in a project to connect international musicians with local communities.